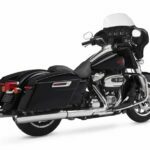 Its chrome-defying powder black treated engine is what initially sets the Harley Davidson FXSTB Night Train apart from all others in the collection. 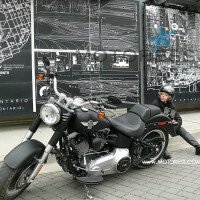 Not new to the Harley-Davidson’s product line; it was the manufacturers’ first custom bike back in the early 70’s; a stripped down Shovel Head, nicknamed the Harley Davidson Night Train. 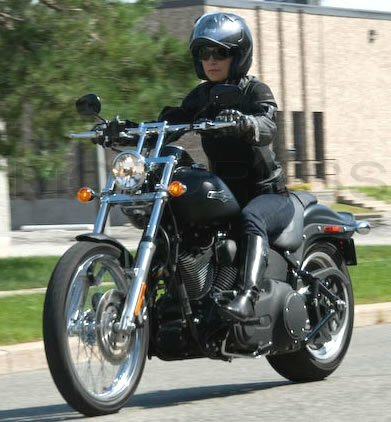 It has remained as one of Harley’s more drastic models, until now as it appears not to be in the line up for 2010. 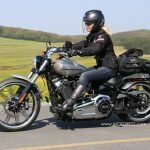 In test riding Harley-Davidson FXSTB Night Train, I discovered it was my favourite so far, next to the Rocker C. Even so, it may not be produced for 2010, this test ride review of is shared with you in the chance you might be able to get your hands on one. You can still find the Night Train at your local retailers. 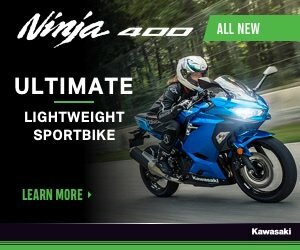 Furthermore, if you’re purchasing your first motorcycle, buying second hand makes a lot of sense—the Night Train won’t do you any wrong. 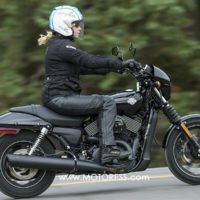 Apart from for bolts and the cooling fins, the engine of the 2009 Harley-Davidson Night Train is nearly entirely blacked out. You’ll enjoy manoeuvring its 96B powered 682 lbs/309 kilos weight easy enough. 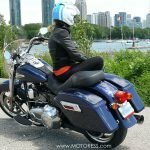 Most Harley-Davidson motorcycles are heavy, but the weight is low and centralized allowing you an up right stabilized feel no matter your level of expertise or strength. There a duo seat that’ll fit you into cruising position snugly–just 25.2 inches from the ground. With its six-speed transmission and smooth belt final drive you’ll achieve good fuel economy results giving you about 38 miles per gallon in the city and 59 miles per gallon during highway touring. A tank mounted Speedometer with odometer houses a fuel gauge, low fuel warning light, a fuel countdown feature (handy! ), digital clock, and dual trip meters. Braking is handled by a 4 piston calliper with disc on the front and a 2-piston calliper with disc for the rear. Along side its comfort, terrifically delivered torque; one small feature, most unsuspecting placed the cherry on the top for me —the drag type handlebars. Shorter, placing your upper body more forward as you lean to control. This combined with the NightTrain’s forward placed foot pegs, seems to sit you in a biker ‘cool’ riding seating. Its black slotted aluminium wheels and rear 222 millimetre wide tyre, supplies ample rubber to the ground. No matter what surface, road performance or cruising, handling is self assured and confident. When you dismount the smart security system (add on option) using a key less FOB (Frequency operated Button, but in this system, there is no button) security system is one of the additional “smart” features, I appreciate Harley Davidson for—fewer hassles and no fumbling for keys, especially handy when making an emergency pit stop to the ladies’ room! The Harley-Davidson Night Train is a great looking machine. It comprises real style and character. It’ll turn heads and will take you most enjoyably across the country or around the city. 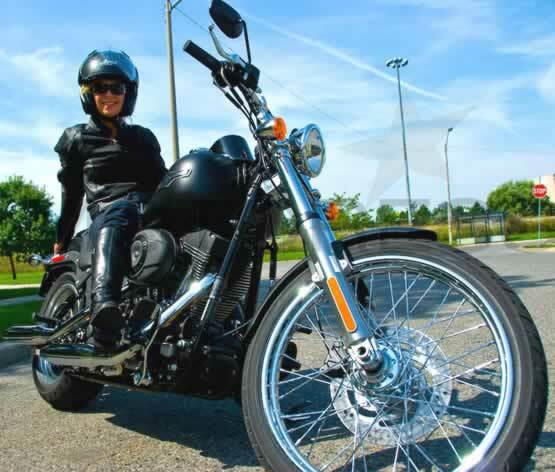 The 2009 Harley Davidson Night Train is available in four colours with the base model in Vivid Black priced at CAD $20,389; in colours of Black Pearl; Black Denim; Red Hot Sunglo (New) you’ll pay about CAD$500. to the aforementioned price. Get one at a Harley-Davidson dealership near you.